Wayne County Sheriff’s Department Chief Deputy Mike Mozingo spent some time reading to Ms Kittrell’s 4th grade class at Wayne Academy Tuesday morning. 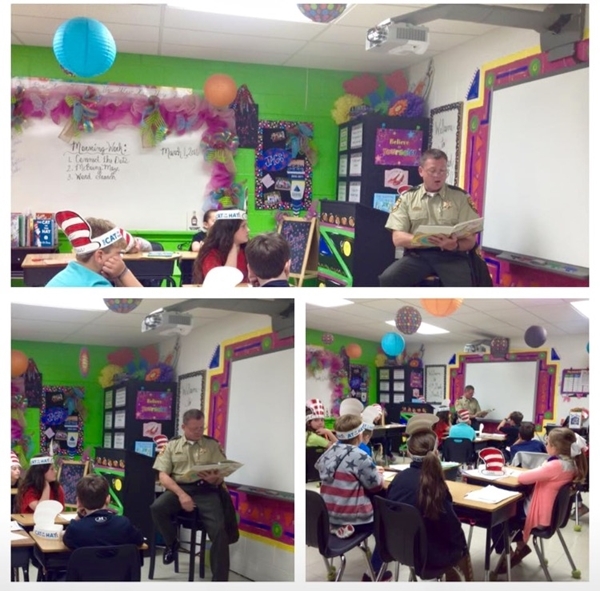 Chief Deputy Mozingo read one of Dr. Seuss’ books to the students. This week is used to celebrate Dr. Seuss’ birthday which is Friday. This week long celebration is an effort encourage students to read.